These great, hulking hollowed soldiers are heavily armoured and are equipped with a suitably large shield and weapon - either mace or greatsword. They can be found in three locations throughout Lordran: The first one is at the altar in the Undead Parish, the second is on the rooftops of Sen's Fortress and the third is found on the bridge leading to Crossbreed Priscilla in the Painted World of Ariamis. Defeat other enemies in the area first to allow you fight them on their own. Lure them to an area large enough to allow you to get out of reach of their attacks, should you need to. Utilize flanking tactics as they do not move or turn very quickly and their most powerful attacks are forward facing. Time your attacks between their long attack and recovery animations. Block using a high stability shield while circling behind them to reduce the danger of their horizontal swings and combos. At least some of their attacks can be parried succesfully without taking any damage, even though there won't be any kind of riposte. 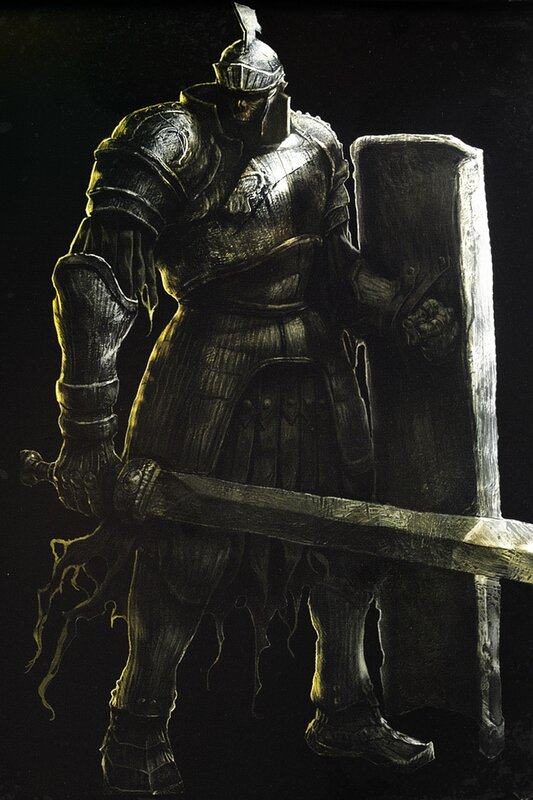 Note: The Iron Knight in the Parish can potentially bug out and disappear if not killed when first confronted by the player. If you wish to obtain the Tower Shield, make sure not to aggro the Tower Knight unless you intend to defeat him then and there.